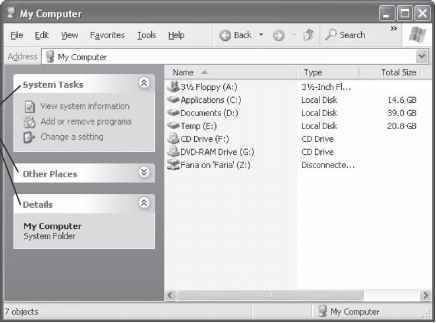 Everyone is familiar with the Windows Explorer application, which uses a tree control in the left pane and a list control in the right pane. The .NET ListView and TreeView controls wrap the Windows tree and list controls. Because they're often used together in applications in this way, I'll discuss both in this section. A TreeView is a control that displays a hierarchy of items in the form of a tree. The programmer has to load the control with data items representing the nodes, and the control takes care of all the run-time operations including displaying the tree, interacting with the user, and raising events. Each node in the tree has a caption and an optional pair of images, which are used to represent selected and unselected nodes. The code starts by creating a TreeView object and setting its size and position. I then associate an ImageList with the control, which contains the images that are going to be used by the nodes, and then add the control to the form. Setting up the child nodes involves creating TreeNode objects and adding them to the hierarchy. The TreeNode constructor in use takes three arguments: the caption string and the indices of the images in the ImageList that are going to be used when the node is selected and unselected. TreeNodes have a Nodes property that holds references to their children, and so that you can add the first ones to the tree, the TreeView also has a Nodes property that refers to the root node(s) in the hierarchy. In the example, the root node is added directly to the TreeView, and the child node is added to the root node. The main problem with building TreeViews is keeping track of where you need to add nodes when you are building the structure. This code produces the tree shown in Figure 10.16. Figure 10.16: A TreeView control with two nodes. Commonly used properties and methods of the TreeView class are summarized in Tables 10.21 and 10.22. The background image, if any. The style of the control border. Default is a 3D border. Table 10.21: tally1 usi pipilii! True if the tree nodes are highlighted as the mouse moves over them. The control holding the images for the nodes. True if the user can edit the node labels. The collection of TreeNodes managed by this TreeView. The currently selected node, or null (Nothing) if no node is selected. True if lines are drawn between nodes. Default is true. True if the expand button is shown next to a node that has children. True if lines are shown joining nodes to the root. True if nodes in the tree are sorted. The node visible at the top of the TreeView. The number of visible nodes. Disables and reenables redrawing of the tree. Used when many nodes are to be updated to save multiple redraws. Hides or shows all child nodes. Gets the node at a point. If you're familiar with the ways in which you can display files in Windows Explorer, then you'll have a pretty good idea of what the ListView formats look like. Figure 10.17 shows a ListView displayed in Report format. It also shows the use of optional column headers and the way in which text is edited if it is too long to fit into a column. Figure 10.17: A ListView in Report format. The code first creates a ListView and sets its size, position, and foreground color. Because a ListView can display items using large or small icons, each ListView has two liageList properties. In this example, I'm setting the one that holds the large icons. The Addlteis() function creates new ListItems, each with a caption and an icon index, and adds them to the list. This code produces the ListView shown in Figure 10.18. Figure 10.18: A form containing a ListView control. Commonly used properties and methods of the ListView class are summarized in Tables 10.23 and 10.24. Specifies how the user activates the item (single or doubleclick). The alignment of items in the window. If true, users can drag columns to reorder them. True if icon views are autoarranged. If true, every item will display a checkbox. The collection of column headers. Returns the item that has the focus. The collection of list items. The ImageList containing icons for Large Icon view. True if multiple selection is allowed. True if scrollbars are visible. The collection of currently selected items. The ImageList containing icons for Small Icon view. Arranges the icons in a given format. Disables and reenables redrawing of the control. Used when many items are to be updated to save multiple redraws. Removes all items from the tree. Ensures that a given item is visible, scrolling it into view if necessary. Gets the item at a point.